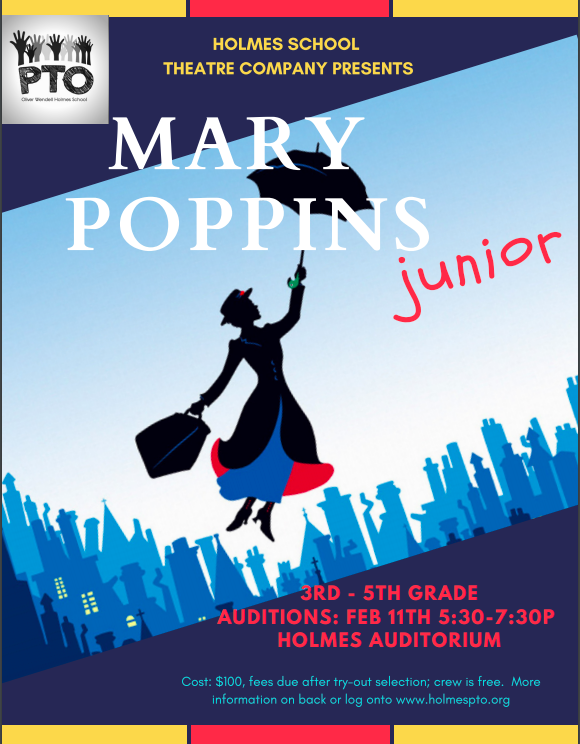 Auditions will take place in the auditorium. Auditions will consist of scenes or monologues and dance. For the dance audition, there is nothing to prepare. Please take a look at the synopsis for an overview of the show. The character list is also attached so that auditioners may explore the many opportunities available for lead, supporting, and ensemble roles. Click flyer to see full details on keys2broadway site!